Outlook Social Connector is a tool launched by Microsoft and used to connect its user to business and social networks like Face book, Windows Live, and LinkedIn. They aggregate information from various network sites which means you can view all the comments, updates, alerts and messages from different sites at one location in Outlook. Know about People You Communicate: Using Outlook Social Connector, you can get information about the persons who are connected to you as your business partners. Keep Contact Information Up To Date: When people changes their email or shift from one city or state to another, their contact information gets changed. 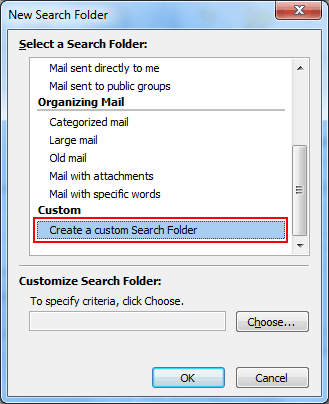 If they have synchronized Outlook Social Connector with LinkedIn then any changes made in the contact information in LinkedIn will be reflected in the Outlook. In this way you can keep your contact information up to date. 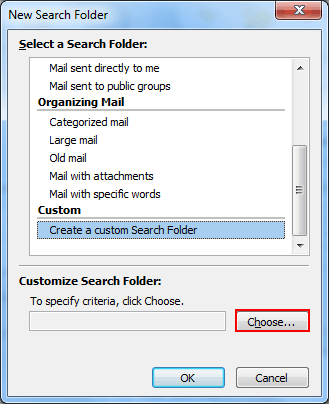 Saves Time on Staying in Outlook: You can save your time by gathering all information in one place rather than having it nucleated. For example- If you have Face book and LinkedIn synchronized with Outlook, you can view all the activities of social networks and that of Outlook communication log in one view. Strengthen Connections: You can see the details of people. Events related to a person like birthday, anniversary can be viewed. In the people pane you can see the recent, messages congratulating the person. On knowing about the recent activities related to a person, you can send greetings to him. Thus, strengthen your connections with the people. 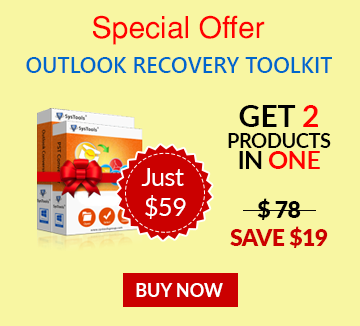 In order to use Outlook Social Connector, you need to download and install Outlook Social connector for the social network you want to use. You need to follow different steps for downloading and installing Outlook Social Connectors for different versions of Outlook. 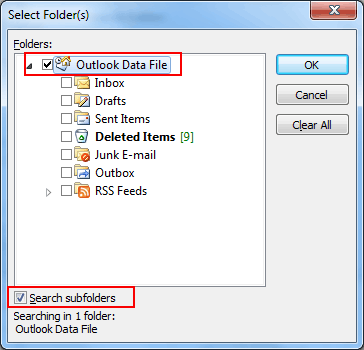 Even the features associated with the Outlook Social Connectors used in different versions are different. Step2. 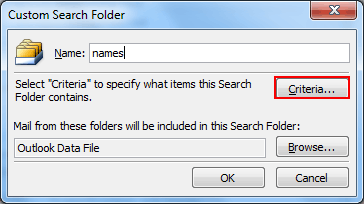 A dialog box will appear in which you have to scroll down and select "Create a custom Search folder." Step3. Click on "Choose" button. Step4. 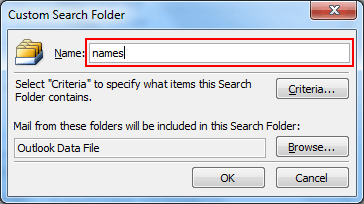 Provide a name to your folder according to your convenience in the "Names" column. Step5. 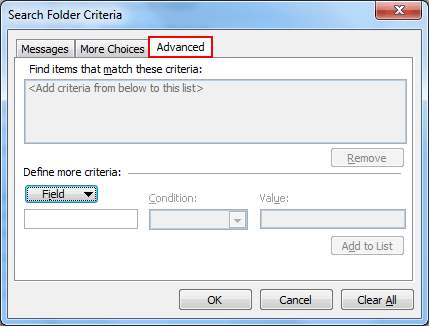 Click on "Criteria" in order to specify what item the search folder will contain. Step7. Add the following filters in the respective lists. Step8. 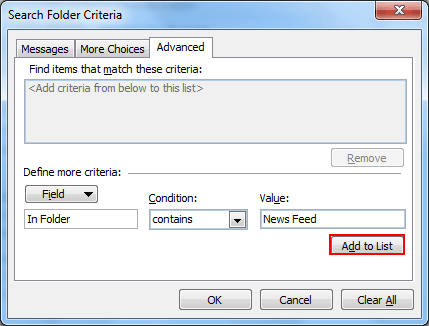 Click on "Add to List" so that the filters which you have applied will be shown in the Outlook. NOTE: You can add multiple filters according to your requirement. You can even add time filters in which you can filter messages according to the receiving time. Step9. 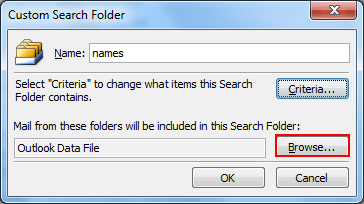 Click on OK button in order to close Search Folder Criteria Dialog Box. 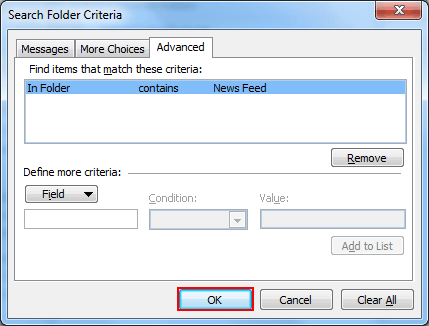 Step12: Click on Ok to close all the dialog boxes. Messages in the RSS feed items are generally for any information. These messages do not have any body content but still they are recommended to have reading panel enable as such messages or updates contains hyperlinks attached with them. The hyperlinks are generally present at the bottom of the information. On clicking the hyperlink you can read the entire information on the reading panel. 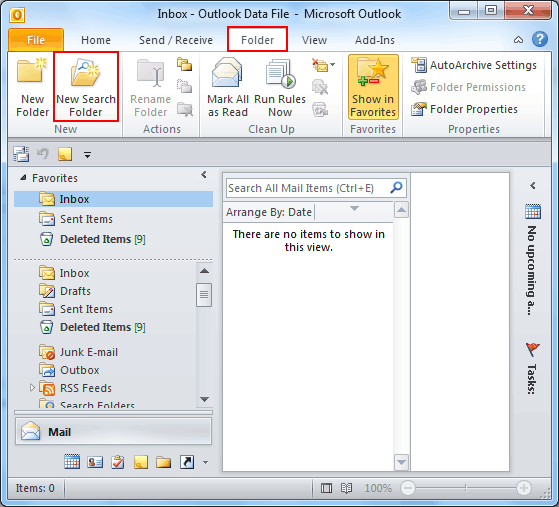 NOTE1: on using BETA release of Outlook 2010, you will be able to view "News Feed" folder. On leaving it visible, there is no harm. 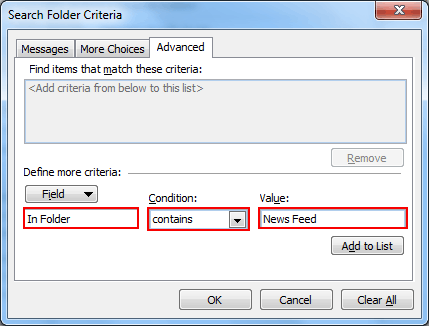 NOTE2: All social Connectors do not cache their content in "news feed" folder. For example LinkedIn cache its content in news feed folder while Facebook does not.